Investing in index funds sounds easy, but how many are actually doing it? For people who have invested their money before, this article seems almost too shockingly simple. However, I often see people come up with the exact question of how to invest in index funds, and to me, it means that a lot of people have read about the benefits of index funds but are not sure how to go about investing in it. If you are a “know-nothing investor”, as what Charlie Munger, vice-chairman of Berkshire Hathaway would call, you will benefit tremendously by investing in index funds. For those who are not sure what an index fund is, here’s a simplified introduction – it’s basically a mutual fund or exchange traded fund that replicates the movement of an index (think S&P500, for instance). It invests in the same stocks that make up an index, and therefore gives you the closest to market returns. According to Charlie Munger, most investors are “know-nothing investors”, and there’s nothing wrong about it. 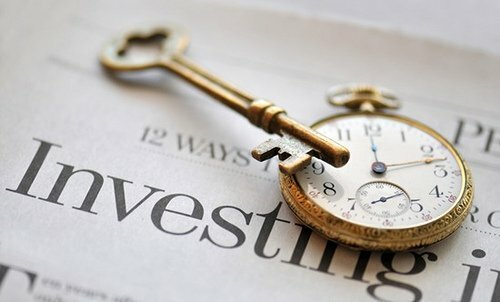 Most retail investors do not have enough time and resources to do an in-depth analysis on individual stocks and become “know-something investors”. We may not be the most savvy investors, but it doesn’t mean we can’t do well in the stock market and outperform professional stock pickers. We just need to keep calm and invest in index funds. It’s actually pretty simple to get started investing in index funds. There are generally two ways of doing it – either you invest directly in the index funds or you go by the route of investing in exchange traded funds (ETFs). Most retail investors would do well investing directly into index funds. When it comes to index funds, I always recommend Vanguard Index Funds due to the large selections and their excellent expense ratio. Everything can be done online, so you can get started as soon as you want. Setting up a Vanguard investment account is simple. Just head over to Vanguard sign up page to register for an account. There is no costs involved in setting up an investment account, but you need to provide information about your checking account and verify your identity when you create a new Vanguard account. The checking account will be used to make investments, be it one time investment or automatic weekly/monthly investments. You can also choose to have your dividends transferred to this checking account (we recommend that you reinvest your dividends if you don’t need it immediately). Most Vanguard funds require a minimum investment of $3,000 to get started. If you don’t have a disposable $3,000 lying around, try saving nickels and dimes until you can afford that initial investment. The majority of retail investors do not have a large sum of money to put into investment, so most of us will benefit from the dollar cost averaging strategy. To put it simply, we make consistent contributions into the funds to take advantage of the long term appreciation of equity market. Learn how dollar cost averaging investment strategy works here. Vanguard provides tools that allow you to make automatic investments in very flexible ways – reinvesting your dividends, make weekly automatic investments, monthly automatic investments, etc. If you are not sure which funds to invest in, take a look at the 3 best mutual funds to invest in for a balanced portfolio. Why Choose to Go Direct? Advantage of low expense ratio: Investment returns with a starting balance of $100,000 and 6% yearly return, which is reinvested. One of the main advantages to go direct is to take advantage of the low expense ratio of Vanguard – which ranges between 0.1% to 0.25%. An expense ratio is the fund’s annual operating expenses, stated as a percentage of the funds average net assets. This amount is removed from the fund’s earnings before they are distributed to the investors. The expense ratio of most other mutual funds offered in the industry range from 1% to 2%. Index funds are able to achieve an extremely low expense ratio because they don’t need much active management, such as analysis and stocks picking from the fund manager. An index fund just have to mirror its chosen index. A low expense ratio means more earnings gets distributed to the investors. Most Vanguard funds do not charge transaction fees when you buy and sell funds, which is a good news for most retail investors who have to invest using dollar cost averaging strategy. Most other brokerages charge a purchase and redemption fees when you buy and sell units of mutual funds. This can quickly add up if you buy shares frequently using automatic deductions from your checking account. Another alternative that many investors take is to invest in the form of ETFs through their favorite brokerages. The process of investing is similar – you sign up for a brokerage account, provide checking account information, verify your identity, and start investing. However, with almost every brokerage, you are charged a transaction fee each time you buy or sell. If you buy a Vanguard fund through a brokerage, you are charged the transaction fees, on top of Vanguard’s management fees. With that said, many ETFs do provide a lower expense ratio compared to their equivalent index fund found in Vanguard. For example, the Vanguard 500 (VFINX) index fund that tracks S&P500 has an expense ratio of 0.17% at the time of writing, while the SPDR 500, an ETF that tracks the same index only has an expense ratio of 0.11%. If you invest regularly and have a brokerage account that offers free trades, investing into index in the form of ETFs may be a better choice. However, most brokerages do not offer free trades indefinitely and are bound to introduce transaction fees at some point. Alternatively, if you plan to do a one-time-investment as a lump sum, or contribute to the investments very rarely, and sell them all at once, buying ETFs through brokerages can be a more cost-effective way of investing due to lower expense ratio. However, if you plan to invest regularly by contributing a small amount each week or month from your paychecks (dollar cost averaging), go directly to the company that runs the index funds – in this case Vanguard. They charge no transaction fees at all for most of their funds, so you can contribute as frequently as you like without worrying about the costs incurred. Do you invest in index funds and how which route did you take? Feel free to share your experience and insights in the comment section below.